Hey, all! If you're participating in the EMMA read along, the first round of discussion questions is up! * You'll find them linked below; questions for volume 2 will be up soon! Until then, here are MY thoughts on the first volume of Jane Austen's EMMA! Find the discussion questions for Vol. 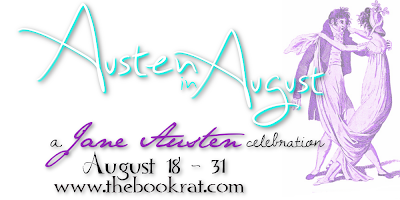 I here, and add your own responses on the participation linky, so that other Janeites can find them! Loved getting your thoughts on Emma. I wanted to participate in the read since it has been since high school that I read Emma through in its entirety, but it didn't fit the reading schedule for now. Personally, I am one who isn't fond of Emma as a character though I love the story. It's the busyness in other's lives. Agreed, she means well so I don't hate her for it, but it doesn't endear her to me, either. I laugh every time I encounter her machinations with Mr. Elton and Mr. Knightley trying so hard to get her to see what is truly going on. I kind of think that what prejudices readers the most about Emma is that she's young and rich on top of being pretty and intelligent and commanding the society she lives in - they simply can't forgive her for that. So they largely blame it on her busybody and match-making tendencies. But, in fact, she behaves in accord with her station in life and it would be wise to regard her and her attitude to people (including Harriet) in this light and not through modern eyes that see offence at everything she says and does. And no one never comments on how caring and patient she is with her father. I don't think that it's easy for her and yet she never repines. I LOVED Emma as a young girl. But when I got older and re-read it....I really started disliking the character of Emma. I guess I got old enough to realize how flawed she is. She does have a good arc that makes her likable, but at the start of the book she's so....self-centered. And bossy, and meddlesome. And petty. Seriously, she's the young, pretty and wealthy version of Mrs. Bennet. I always read into her behavior as being motivated less from a desire to help people and more the desire to feel important in the world- like she has a talent and that makes her special or good or whatever. Which I totally understand, as a motivation for someone bored and lonely in her era, and for today. But if she were truly selfless, she's be a Jane Fairfax. I definitely think Emma gets a prideful kick out of "being right". But I also love Mr. Knightley, even given his upright somewhat haughty lecturing moments. He's just a solidly good guy, romance aside. "the desire to feel important in the world" THAT is most certainly a part of it, but I do still trust in her good heart. But I think, yes, she would like to feel important and purposeful, and USEFUL, which is something I think she's been trained for (look how her father depends on her), and something that probably many wealthy Regency ladies desired -- otherwise, they really didn't have much going for them, and when you have an active mind like Emma's, it needs something to DO. Her project is people, which is maybe bothersome for the people, but again, that's kind of something that was taught/ingrained in the upper classes. But she most certainly desires to be right and praised and loved, and I can't hate her for that.